With social media now mainstream and almost every social network having their own apps on various platforms, smartphone users want all of their social networks on their mobile devices. Speaking of which, LinkedIn is now accessible on Windows Phone as the official app has been released on the platform. The app is pretty simple and has a very good design. You can seamlessly go through updates, see trending topics, get suggestions, etc. It lets you manage your messages, search for new contacts, send out invites, manage groups and so on. The app also has a live tile feature so you can easily pin it to your tile homescreen and also get push notifications. People have been waiting eagerly for the app to arrive on the Windows Phone platform and it is getting pretty good reviews. 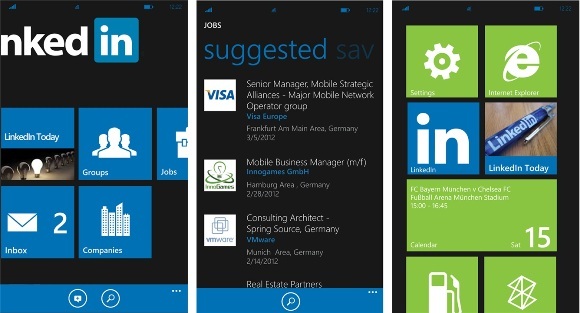 You can download the app for your Windows Phone device from the Windows Phone Marketplace over here.